We are ready for the future, yes we are. We are now working with the fusion of most advance html version till now called as HTML5 and blogger xml. The fusion of both have returned a nice and beautiful theme. This theme is filled with the rich support of css3, advance xml coding and more. Now get ready for future and get this template on your site. My themes works best with dedicated server , you can get lot of cheap hosting options and we recomend you to get best wordpress hosting. 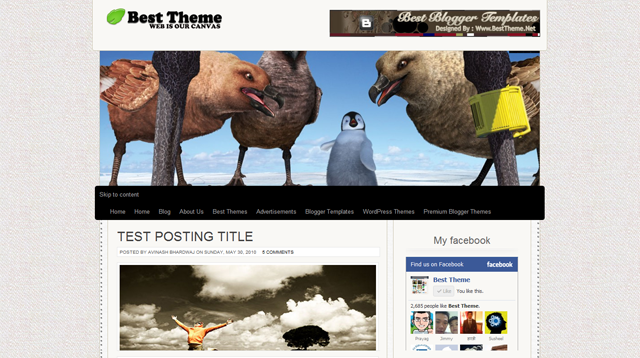 This theme is also available in WordPress and html5 versions.